­Day 1 : Camels are waitting for you at the foot of the plane at the Djanet airport. 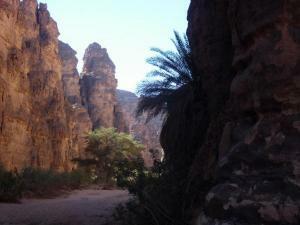 Day 7 : Visit of the cooling guelta at the foot of the cliffs. Way back to Djanet by 4x4.Bivouack in the garden of oasis. Traditional evening.